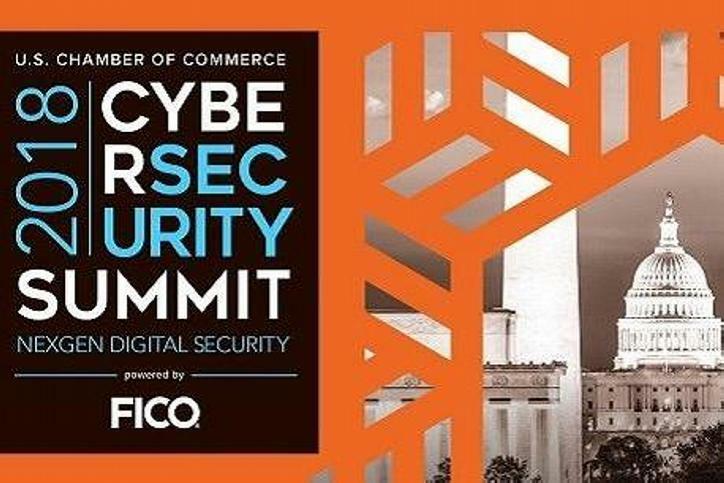 Industry stakeholders and government officials gathered to share their expertise on how businesses should address risk and security, and to examine the role of government in cybersecurity, at the U.S. Chamber’s Seventh Annual Cybersecurity Summit. The summit took place as the nation recognizes National Cybersecurity Awareness Month. Donohue emphasized that while cyber threats continue to change, the need for organizations to be vigilant in their cybersecurity awareness and planning remains critically important. As part of this effort, the U.S. Chamber has backed legislation to support business cybersecurity and spearheaded education campaigns. Today, FICO and the U.S. Chamber partnered to release the first of its kind Assessment of Business Cybersecurity (ABC) at the summit. The ABC shows the cybersecurity risk of the U.S. business community and risk across specific sectors. Businesses can use it as a benchmark to better understand their own risk level. Best practices for businesses of all sizes to evaluate and respond to cyber threats was a focus throughout the day. Speakers at the summit urged that organizations should begin with awareness of their own security and risk – a key part of the ABC. Other sessions at the summit addressed additional cybersecurity issues faced by businesses, including the importance of a secure supply chain, China’s cyber threat, cyber incident reporting requirements, security standards for cyptocurrency, and financial sector cybersecurity. Summit attendees also heard from the National Security Council’s Senior Director for Cybersecurity Grant Schneider on the administration’s National Cyber Strategy; the FBI’s Amy Hess, who discussed investigating cybercrimes and pursuing criminals who commit cybercrimes; Trend Micro’s Chief Cybersecurity Officer Ed Cabrera, who examined the advances and challenges in the cybersecurity workforce; and Pen Test Partners’ Mark Harrison, who held a live hack and spoke about the security of connected devices.